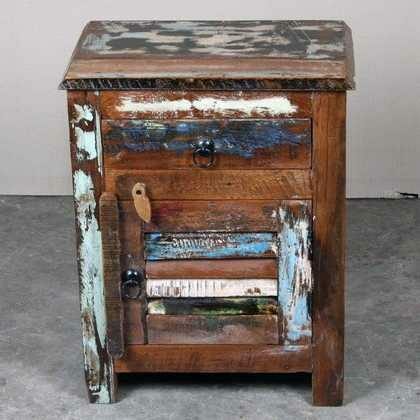 A slat fronted one drawer and one drawer bedside unit made from colourful reclaimed woods.. 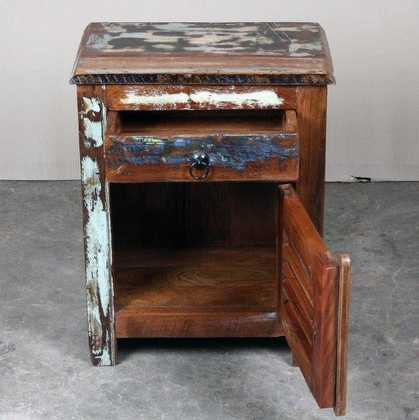 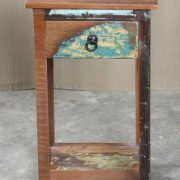 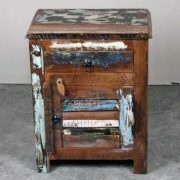 This is a simple, yet effective piece within our reclaimed range. 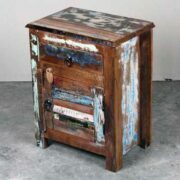 It is a perfect (average) sized bedside unit, comprising of one drawer and one cupboard space. The door of the cupboard is designed using slatted woods. 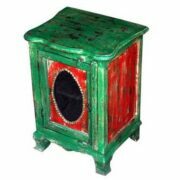 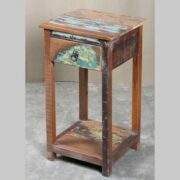 The whole piece has been made from colourful recycled woods and as always with this style the colours will vary from one to another. 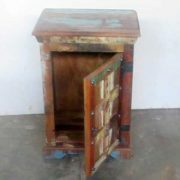 We are alsways happy to send images of the exact piece/s so that you can select your preferred one. 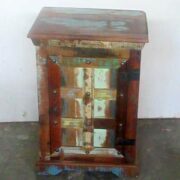 Usual colours to find in these are blues, whites, turquise, greens and browns and sometimes reds, pinks and oranges.